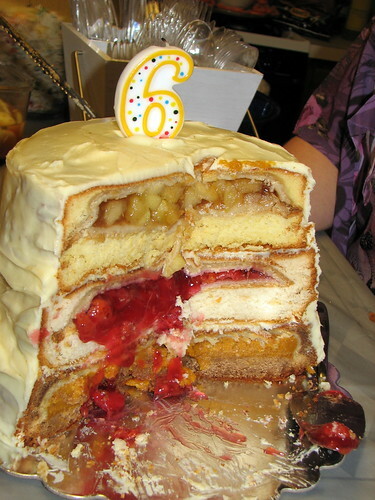 I forgot to put a link in the show notes, so here’s the Cherpumple, in all it’s glory. Photo (and dessert) by Vivid Muse of Girls’ Rules podcast. Obviously the pies are baked first…and then cake batter spread around the already cooked pies… but wow. I can’t imagine that the cake would cook properly, but apparently it did! Awesome! Charles Phoenix shows you how!